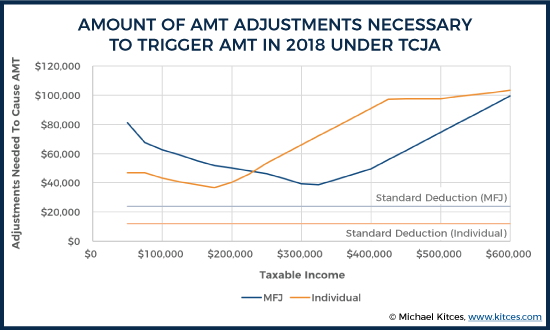 Here is a nice write-up of the (piece of garbage) tax bill, compete with a chart that shows how the AMT works. We’re no longer anywhere near AMT territory, but I think it is a useful and understandable graphic and I’m happy to see it. It isn’t going to as bad as we thought, but it is a tax increase in 2018, and a bigger tax increase as time goes on. Did you know that compromise of $10k SALT/Prop Tax deduction is set to $10k forever, not indexed to inflation? And it is 10k per a single OR per a couple, meaning another marriage penalty? The changes that they are making that end up increasing my taxes are somewhat things I agree with, but the bill is still garbage because of all of the benefits to the very wealthy. Here are the last minute money moves I’m making this year, most of which will reduce our 2017 taxes. Extra retirement savings: I rolled my old rollover IRA into my workplace 401k, which is with Fidelity. This also consolidates most of my investments at Fidelity. I then contributed $5.5k to a traditional IRA, and later converted it to a Roth IRA. T’s paperwork to do something similar had a minor error and I didn’t want to risk not completing the process before year end, so we’ll take care of his early next year. I also diverted some extra pre-tax money into work accounts, although this move was initiated a few months ago. Charitable donations: We need to donate some physical items this year and get receipts… I think this helps with the AMT issue slightly, but really not all that much. This is mostly low value stuff we’ll send to Good Will, but we have a perfectly functional sink and toilet that ReStore may want. We’ll also offer them some furniture items. It isn’t critical to get this done before end of year, but it would be better. I’ll also probably make my January cash charity contribution in December. Deductions are still a bit more valuable this year due to the marginal rate changes. Prepay remainder of property taxes due in the spring: We will owe a small AMT if we do this (<$200), but the amount we’ll save is much much more Doing this shouldn’t have any effect on next years taxes, because we should still hit $10k in state + remaining property taxes. We’ll still itemize next year due to our mortgage interest being more than $14k. Optimize investment options in workplace plans. Things aren’t terrible now – mostly lowish fee target date funds. That said, there is a path to slightly lower fees, but I just haven’t invested the brainpower into getting there. My philosophy is that it is most important to contribute a lot and get things mostly right than to get fees optimized, but obviously it is best to do both. File taxes quickly to beat out any fraudsters who have our information thanks to Equifax. Attempt to set up IRS account to monitor until my tax docs come in (link). Increase pre-tax regiment savings and decide on overall 2018 financial plan. After the threat of the 403b+457b option going away, I felt dumb for leaving any pre-tax space on the table in past years. I had my reasons (big mortgage, not really needing to save more for the >65 years). I’ve mitigated those reasons – mortgage is OK and we have ways of getting money out sooner if we need to. Until something changes (we need the cash flow), we won’t leave any pre-tax space on the table. We’ll take the tax break today since the future is unknowable. And less $$ for Trump. I want to increase cash savings a little, and still do some mortgage prepayments. That’s the lowest priority, but I want to do what we can then recast to lower our fixed expenses. Consider optimizing cash for better interest rate. ← Privilege, Inequality, Charity, Activism – How Do We Save Our Country? I filled out forms to max out the 403b/457 for the new tax limits today (457 was easy, still waiting to find out who I need to send the 403b forms to) and to switch it all from Roth to Traditional as my small protest (also we’re getting more Roth room with the backdoor IRA Roths that I started doing again this year after a multi-year absence). I feel exactly like you regarding not having maxed out the retirement room in the past for the reasons you say. I made an account with that IRS service. We are expecting a large refund this year as we had done our withholding assuming I would go back to work. I did not, so we will get a decent amount of taxes back. As such, I’ll try to file in early February. We got all of our documents in a timely manner last year, so hopefully that will be the case again. I had a “2016 Tax forms checklist” page in OneNote, so I copied it and made a similar one for 2017. It looks like we are expecting 4 fewer forms this year than last year. I have carefully been watching the tax info and it looks like Backdoor Roth IRAs are still possible? I might wait a bit into January to be confident of that. I don’t like that my now-old 401(k) is at Fidelity when everything else is at Vanguard, but moving it to Vanguard now would require giving up Backdoor Roth IRAs. We can’t bunch property taxes and were too far from itemizing that we don’t really have any end-of-year money moves this year. We are still working on our 2018 budget and figuring out personal spending allotments and how much we feel we want to save. We are working on agreeing on how much to keep in checking vs savings and then our joint taxable allocation. I have a credit freeze and the IRS is having trouble with the verification of account info step. Do you know if you were able to set this up with active credit freezes on all agencies? This is so annoying. Yeah, i don’t believe backdoor Roth was ever on the table as being removed. Surprisingly. I don’t have a credit freeze. My mortgage account number didn’t work, but the last 8 of a credit card where I’m the primary account holder did. I’m not so sure how useful that account will be though as it mostly just shows payments and most fraudulent tax returns are filed to get refunds. I was surprised that the Backdoor Roth wasn’t considered too. Hmm, i tried 2 credit cards and they said it didn’t match experian. So it seems like the freeze is likely to impact it. They did say that they do a soft pull. So seems possible that the freeze could impact it. I think it is pretty silly how the amount of pretax available to save is dependent on jobs. We are in the lucky group that has the 457b+403b combo, and looking into it, T probably has access to a mega backdoor Roth too. I doubt we will go the megabackdoor Roth route because we have a mega mortgage to worry about. 🙂 But I’m all about reducing my taxable income in 2018, so those pretax accounts will be as full as I can get them.